Are your teeth yellow or discoloured? In recent years everyone have started paying attention and want to have a white, bright smile. Our teeth turns yellow or discoloured as we age and also due to our day to day intake like drinking coffee, wine, smoking cigarettes , etc..Poor oral hygiene and few kinds of medication also leads to staining and further discolouration. At NW1 Dental care we help you reach your goal of having a brighter smile using the latest dental techniques. A regular checkup and professional clean and polish of your teeth helps brighten your smile. We offer four oral hygiene packages in London. 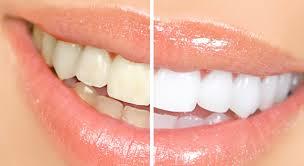 For a more dramatic change results NW1 Dental care offer teeth whitening treatment in Camden, London. You can choose latest Philips Zoom! Whitespeed teeth whitening system that can drastically make your teeth upto 6 shades lighter. If that also doesn’t satisfy you then we offer the dental veneers which can give completely change the colour, texture and shape of you teeth and give you the best looking smile.